Home > Trailers > It's a new trailer for Atlier Lydie & Suelle! Hooray! It's a new trailer for Atlier Lydie & Suelle! Hooray! Of course I am excited for Atelier Lydie & Suelle. I got to play around with it a little at Tokyo Game Show last year, as well as interview the producer behind the game, and from everything I've seen about it so far, it might just be the most delightful title in a very delightful series yet. Related reading: Matt's review of the last Atelier - Atelier Firis. Koei Tecmo has released a new trailer showing off some of the game's characters and battle features. I generally play the Atelier games for the characters and storytelling rather than the combat, it must be said, but either way this game looks to have you covered. 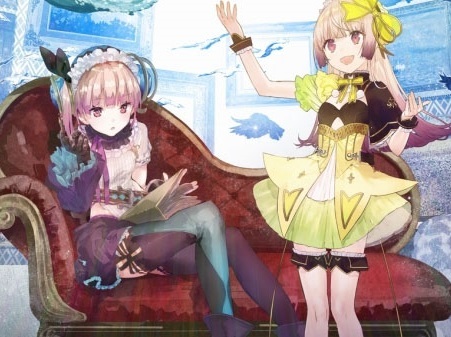 For characters, Atelier Lydie & Suelle benefits from being the third title in a trilogy, meaning that it can bring back beloved characters from previous games (Sophie and the adorable, super cute, super adorable Firis), as well as the new heroes. The hijinks should be many with all these characters thrown together. For the first time in the Atelier series, players are able to synthesize items while in battle for immediate use through Battle Mix and Extra Mix, with each opening up a range of new strategic options. Battle Mix focuses on crafting special Battle Recipes that enhance weaponry or cause a drastic change to the battlefield conditions; players stuck in a tight spot with an icy foe could imbue their weapon with fire or even melt away the ice on the battlefield to give themselves the ideal advantage. Extra Mix utilizes pre-synthesized items – heightening their abilities and even adding new characteristics in ways which were previously impossible. In the case of the ever-useful Bomb item, which can be used to attack a group of enemies during combat, Extra Mix allows for the creation of the Enormous Bomb with a wider attack radius and a much deadlier blow. Experimenting with various ingredients can lead to impressive outcomes, with plenty of different items to match each player’s unique gameplay style. The annual Atelier game release is always a highlight of my year. This year, Atelier lands on March 27, and will be available on Nintendo Switch, PlayStation 4 and PC.